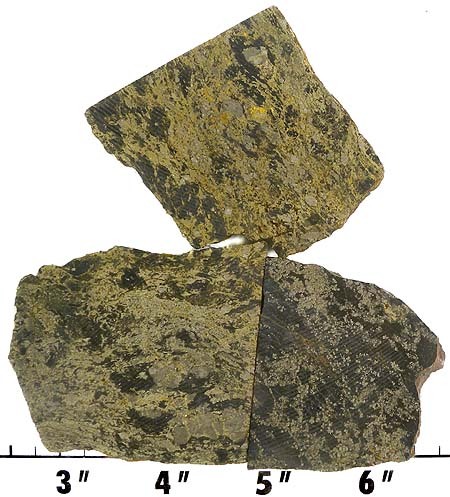 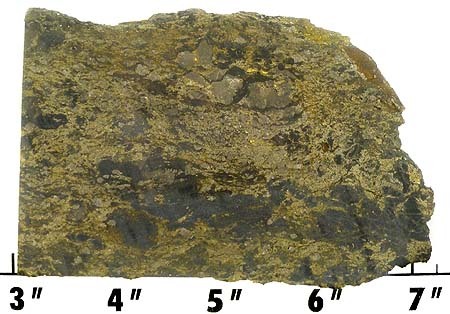 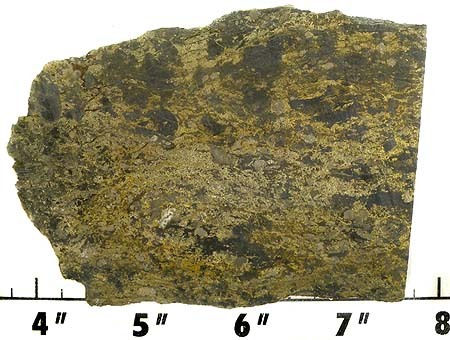 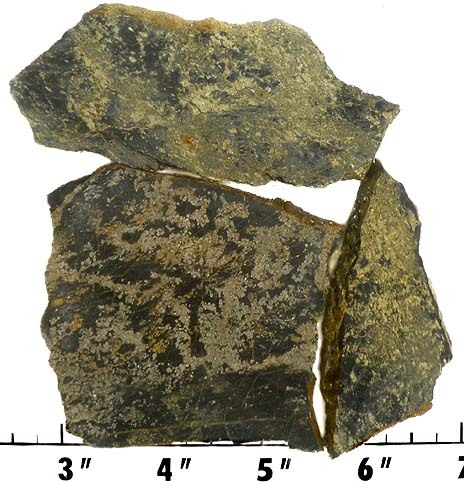 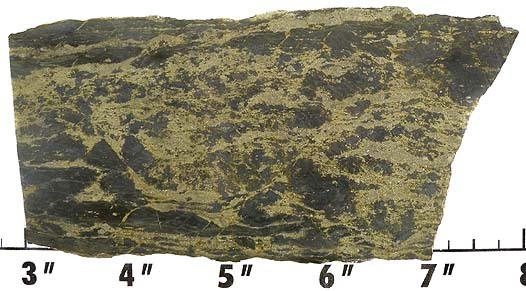 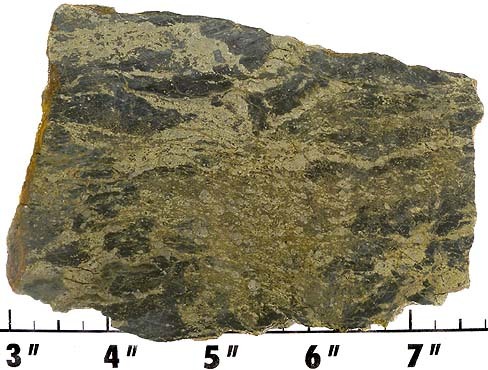 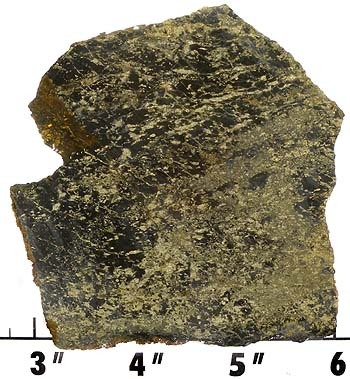 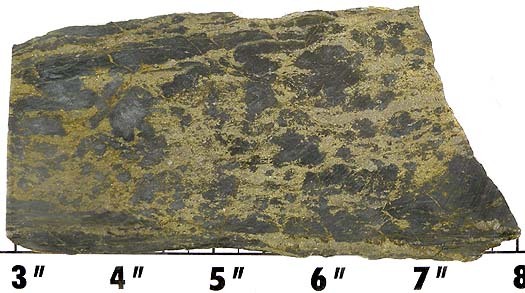 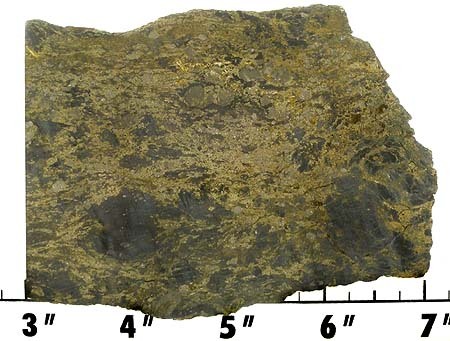 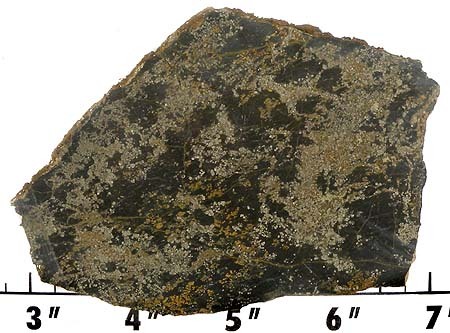 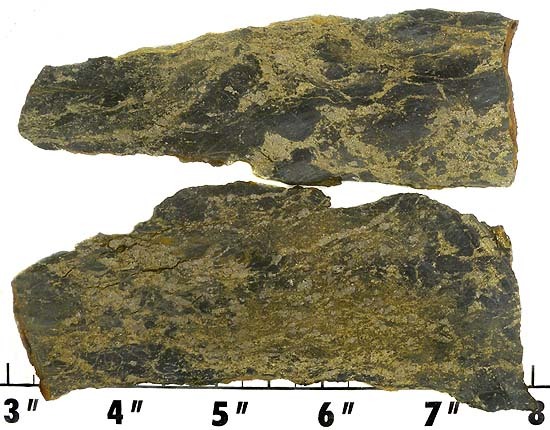 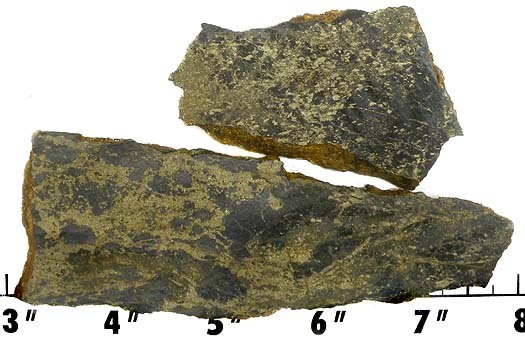 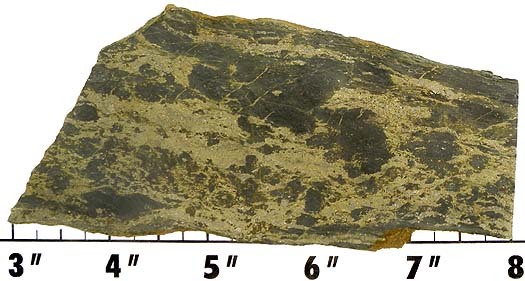 Apache Gold has golden colored chalcopyrite flecks embedded in black schist matrix. 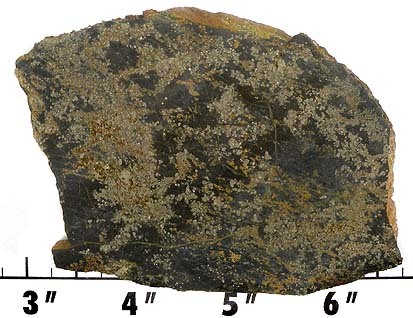 It makes stunning cabochons with great contrast and subtle bling. 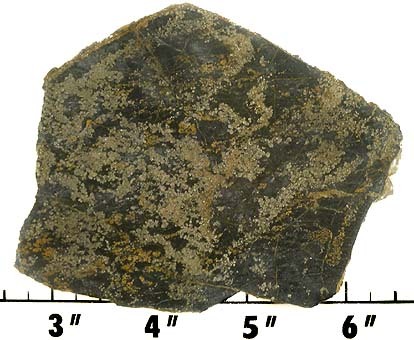 This material may have some fracturing and vugs. 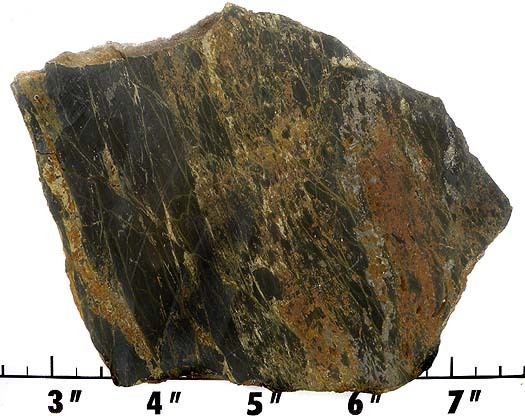 However, these slabs will yield high quality stones when carefully marked out and cut. 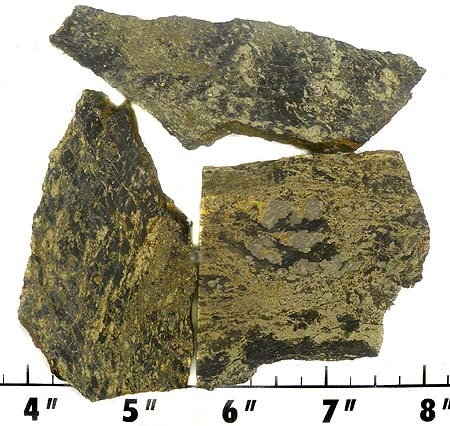 Apache Gold is relatively soft, so it cuts easily with standard wheels. 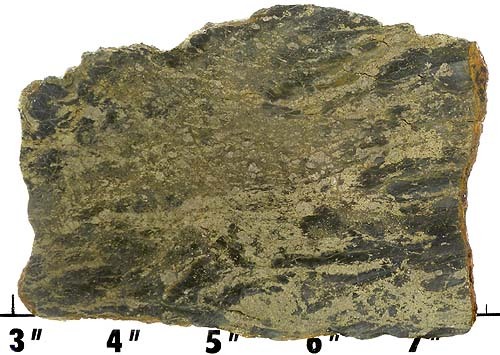 We suggest being gentle in the coarser grits as it can chip out. 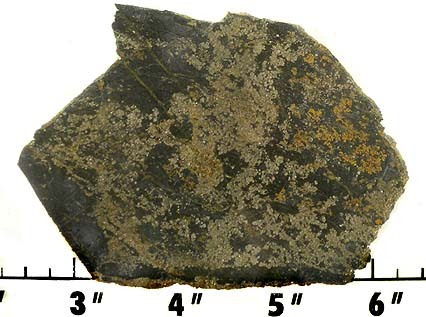 This material can be polished with tin oxide, diamond, or green rouge. 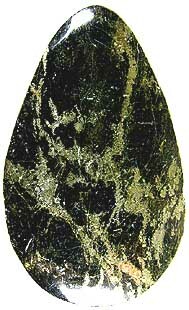 Example of Apache Gold Cabochon. 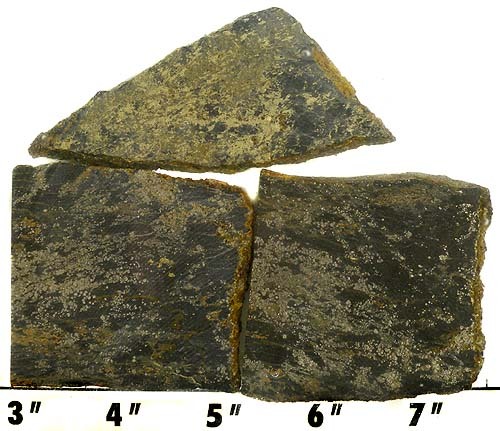 Measures approximately 1/4 to 3/8" thick. 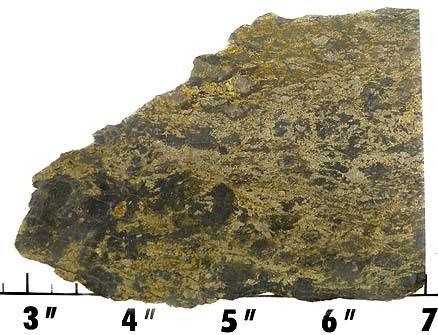 Measures approximately 7/32 to 9/32" thick. 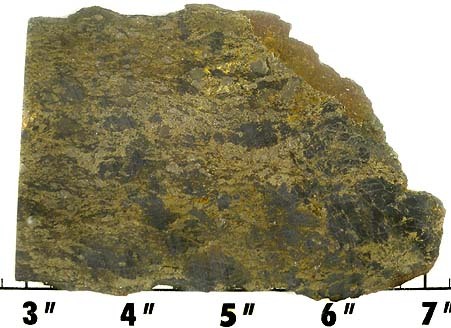 Measures approximately 9/32 to 1/4" thick.